For those who want Windows on the cheap, tablets with the OS are now selling for under $100. These lightweight tablets aren’t exactly laptop replacements, but can serve as complementary devices for those who use Windows PCs. 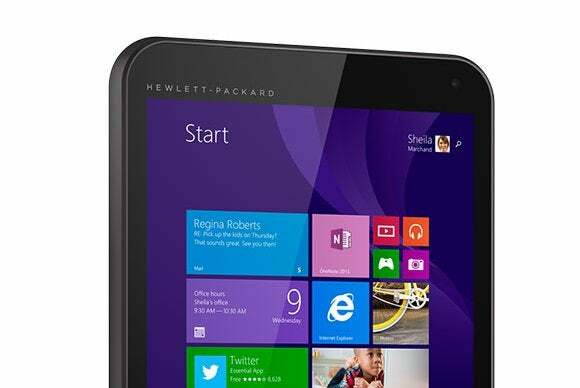 Hewlett-Packard, Toshiba and E-FUN sell tablets under $100 that run a full version of Windows 8.1 and can run basic PC applications. These devices can be used to open Word documents, browse the Web, watch movies and play Xbox games. The devices also have Skype for videoconferencing and Internet Explorer 11. For Microsoft, these tablets are a way to compete with Android in the low-cost tablet market. Running on an Intel mobile processor, the tablets can deliver graphics to play casual games and watch 720p movies on Netflix. 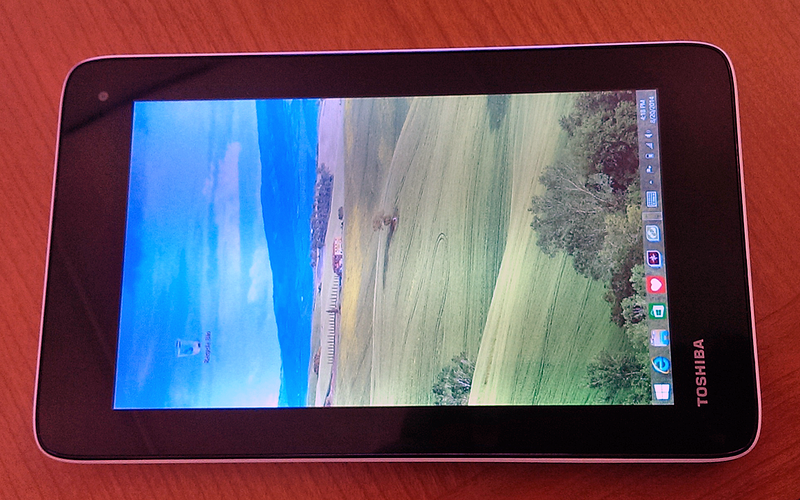 It is also possible to mirror tablet screens on larger displays through Miracast technology. For such a low price, these no-frills tablets are good for those who want to run basic Windows applications and need portability. The tablets come with only one year of free access to Office 365 and 1TB of Microsoft OneDrive online storage. After that, users will have to pay subscription fees. 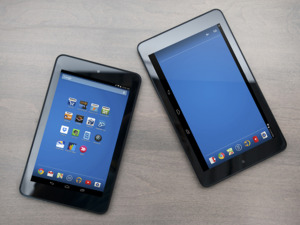 But at a sub-$100 price, there are drawbacks—the limited storage of up to 32GB fills up quickly, the low resolution 7- and 8-inch screens won’t make graphics shine, and the connectivity options are limited. If you need more storage, larger screens or more performance, it may be wise to look at Windows laptops or more feature-packed tablets like Microsoft’s Surface Pro 3, which starts at $799, has a 12-inch screen and a more powerful Intel Core processor. HP was among the first to jump into the sub-$100 Windows tablet space with the $99.99 Stream 7 (pictured at top). It has a 7-inch screen that can display images at a resolution of 1280 x 800 pixels. It weighs 349 grams and offers eight hours of battery life. Others features include a 2-megapixel rear camera, a 0.3-megapixel front camera and 32GB of storage. It has 1GB of memory, 802.11b/g/n Wi-Fi, Bluetooth 4.0 and a micro-SD slot for expandable storage. A unique feature is the HP Connected Music app, which allows sharing of music across multiple devices in a home. The Toshiba Encore Mini, sold at Microsoft’s online store for $99.99, is similar in specifications to HP’s Stream 7, but has a lower-resolution 1024 x 600 pixel screen and only 16GB of storage. Considering all features, the HP Stream 7 seems like a better bargain. If 7-inch screens aren’t large enough for you, look at E-FUN’s $99 Nextbook tablet, which has an 8-inch screen. As noted by Microsoft, Wal-Mart will sell the tablet starting Friday, which will be one of the most popular shopping days in the U.S. The tablet has only 16GB of internal storage, but a 16GB microSD card is being included as part of the Black Friday promotion. One big plus for the tablet is a micro-HDMI slot so the device can be connected to high-definition TV sets. The tablet has a 1280 x 800 pixel screen, a 2-megapixel rear camera, 0.3-megapixel front camera, 802.11 b/g/n Wi-Fi, Bluetooth 4.0 and 1GB of DRAM. All major PC makers are selling Windows tablets with 8-inch screens and more, though features may vary. For example, Dell’s $199.99 Venue 8 Pro has similar features to the $99 tablets, but higher resolution cameras have raised the price. One small-screen Windows tablet that stands apart is the $279.99 Lenovo Yoga Tablet 2, which has an 8-inch screen, offers up to 15 hours of battery life and has a full high-definition display.